Known by the locals only as “South City”, South San Francisco isn’t part of San Francisco at all, but rather it’s own separate city. Shielded by the fog, this city offers fantastic bay views and new offerings, thanks to the Oyster Point Park and Marina. Located on San Francisco Bay, this new recreational pursuit offers a place to launch your boat, cast a line from the fishing pier, set up a picnic or stroll along the sandy shores of Oyster Cove. Visit beautiful South San Francisco CA today. For a list of all the great area beaches, click here. The best time to visit South San Francisco CA is from September to November. Believe it or not, fall offers some of the city’s warmest temperatures year-round, not to mention fewer crowds than summer. Spring is another good time to visit thanks to its mild temperatures and lack of rain. You’ll find a surge in tourism during the summer as people head west in search of sun, sand and surf. Winter in South San Francisco draws bargain-hunters with lower hotel rates and less people. If you decide to travel in the wintertime, protect yourself from the chilly temperatures with plenty of layers. 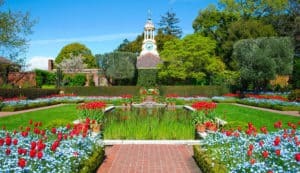 Filoli offers unique restorative experiences for the whole family every season. From the historic home and manicured gardens to a vast estate and natural trails, come explore the beauty and tranquility of another time. Guests can visit the café, have a glass of wine or afternoon tea. 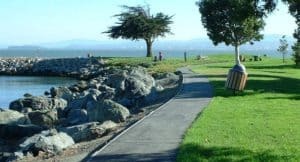 Coyote Point is a regional recreation area that provides a wide variety of opportunities: picnicking, swimming, windsurfing, bicycling, jogging, fishing, boating, and sailing. Stroll along the beach promenade, visit the marina and its breakwater, or explore the saltwater marsh. See shorebirds, colorful boats and windsurfers. Oyster Cove Beach is a small sandy beach in Oyster Point Park on San Francisco Bay. 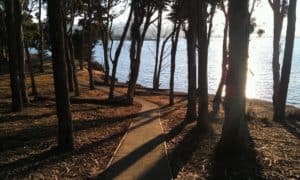 The park is part of the San Mateo County Harbor District and has a full marina, boat launch ramp, fuel dock and more for boating enthusiasts. The beach is great for families with safe swimming, shade trees and picnic tables to enjoy. 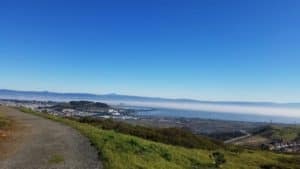 San Bruno Mountain Park is a landmark of local and regional significance, standing as a unique open-space island in the midst of the peninsula’s urbanization at the northern end of the Santa Cruz Mountain Range. The Mountain’s ridge line runs in an east-west configuration, with considerable slopes and elevations ranging from 250 feet to 1,314 feet at the summit. The 2,416 acres of rugged landscape offer excellent hiking opportunities and outstanding views of San Francisco and Central Bay Area. 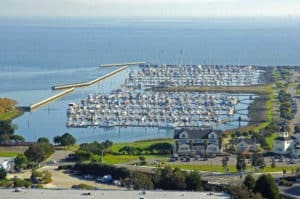 Oyster Point Marina/Park is one of San Mateo County’s most exciting new recreational facilities, with something for everyone; 408 berth marina, boat launching ramp and a fishing pier. Other amenities include a park with hiking and jogging trails, picnic facilities and a 2.5 acre sandy beach. They are a Mediterranean-style fine-dining restaurant offering ‘farm-to-table’ fresh ingredients and fantastic old-world recipes by their glowingly reviewed chef that are a pleasure to serve. Their full service bar has a wide selection of liquors and beers on tap. Telephone: 650-754-6891 Web: Amoura Restaurant. This design-driven AC Hotel on the San Francisco Bay is all about modern architecture with wonderful waterfront views. Guestrooms feature sleek furnishings and the most comfortable bed you’ll sleep in besides your own. Complimentary parking and free WiFi along with an indoor pool and fitness center. AC Kitchen serves breakfast, while lunch and dinner is in the AC Lounge. 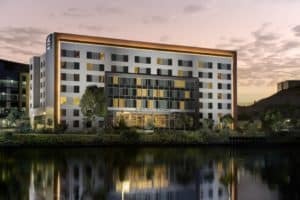 For more information, pricing, or to reserve your room visit the AC Hotel by Marriott Oyster Point Waterfront. They feature free Wi-Fi, fully equipped kitchens and plush bedding for your homelike travels. Start with a complimentary breakfast buffet serving plentiful hot and fresh options. Our active travelers can maintain a healthy lifestyle at our outdoor pool and fitness center. Challenge your friends to a game of basketball at our Sport CourtⓇ. Need to host an event? Utilize our modern meeting room for your business or social gathering. Before your stay is complete, spend time with loved ones by having a barbecue at our outdoor patio. From check-in to check-out, journey to relaxation at Residence Inn San Francisco Airport/Oyster Point Waterfront. 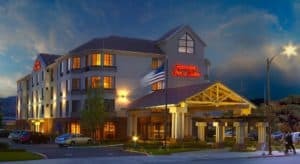 For more information, pricing or to reserve your room visit the Residence Inn by Marriott Oyster Point Waterfront. 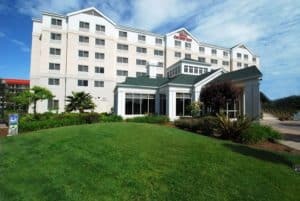 Whether you’re visiting for a business trip or a getaway in the City by the Bay, enjoy this San Francisco Airport hotel’s comfortable guestrooms with free high-speed internet access and 37-inch flat-screen TVs. Plan tomorrow’s itinerary at the large work desk or convenient lap desk. Relax on the clean and fresh Hampton bed®. If you’re traveling with the family or prefer extra space, reserve a one-bedroom suite. For more information, pricing, or to reserve your room, visit the Hampton Inn San Francisco. Enjoy the free shuttle service to San Francisco’s BART and Caltrain Stations for easy travel around the city. Work out in the Hilton Garden Inn’s fitness center. Great American Grill, located on site, serves contemporary cuisine for breakfast and dinner. For more information, pricing, or to reserve your room visit the Hilton Garden Inn San Francisco Airport. 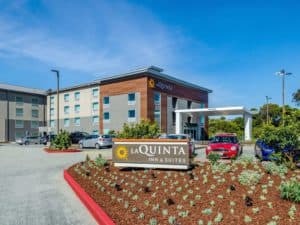 La Quinta Inn & Suites San Francisco Airport North is stocked with a coffee maker, iron, WI-FI Internet and dataports, and brand new flat panel televisions with HD programming. You can stay on your workout schedule in our well-equipped fitness center or instead lounge by the seasonally heated pool. Free Bright Side Breakfast® and 24-hour guest laundry and/or valet service. 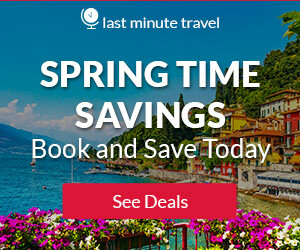 For more information, pricing, or to reserve your room visit the La Quinta Inn & Suites San Francisco Airport. This is another beautiful place to think about visiting. It just that the time frame to visit such a place like south San Francisco is very short and might interefer with my personal and office activities at exactly that time. Be it as it may, If I can find time within November and December. I am a beach lover and i love to check on different beaches during my holidays especially summer vacations. This looks gorgeous and I felt like entering the city when i was watching through the video you uploaded. There are so many valuable info about the city which shows you did your assignment very well before ppsting on your blog. I do a lot of research for sure, as well as use my personal experiences. South San Francisco is a great beach community, and it is gorgeous…you are right! Hi! I have wanted to go to University of Surfing. People have told me they have really good instructors. Thank you for including a phone number. I would also like to go to the kite boarding center. But what I have been advice to not miss is Filoli Gardens. Lovely natural trails and lots of tranquility. Do you know why they call it South San Francisco if it isn’t part of San Francisco? No Henry, it is not part of San Francisco and is actually it’s own city. I am sure it is called South San Francisco, because it is south of San Francisco. Oh, the University of Surfing is highly recommended if you want to give it a try. Enjoy! 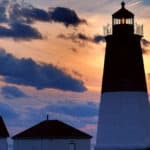 My wife and I love the beach, we currently live on Cape Cod which has some beautiful beaches as well. When we get our blog rolling we would like to visit beaches all over the world. I could definitely adapt to the lifestyle. 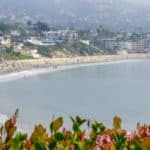 Besides San Francisco, are there any other beaches that you would say are a must see? We are going to St Croix in a month but would love to hear what you recommend for other destinations around the Globe. Oh boy Jason, that is a tall order. I just came from St. Croix, St Thomas and St. Maartin. I have to say that the beaches in all destinations are wonderful. I am in Florida on the gulf coast, so our beaches are really pretty calm. I loves the beaches of the islands, as the waves were so awesome. 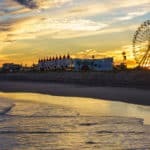 I wrote an article on what I felt was the best beaches around the world, you can visit that link here. It will give you the top 20 best beaches in the world 🙂 Please let me know if you have any further questions. Thank you for your quick response. I will definitely check out the article you wrote about the Top 20 beaches. We will be looking at properties in St.Pete when we return from our trip and plan on taking a couple days to make it to the gulf. Thank again for responding so quickly. If you head to St Pete, please let me know. I live here and I can give you all the information you need 🙂 I also have a St. Pete Beach Travel Guide. Please let me know if I can help! South San Francisco looks so beautiful. 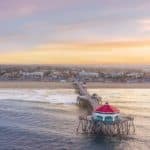 I would have loved to hear the sound of the ocean in your drone video. I still love it anyway. For those of us on the east coast, California is another world but those pictures are tempting. Nice post and I look forward to more pictures from you. I am on the East Coast as well, just a little more cost effective for the cost of living. But the west coast is amazing. I hope you can vacation there someday soon! I’ve never been to South San Fransico and now that I read this post, I will certainly visit this place. We are planning a trip with the whole family next year. Now I have all the information to plan our trip. We love venture jeep and kayaking. Also, I see there are affordable restaurants where we can enjoy dinner. You truly have a site to bookmark. So much valuable info on the city and that area. Only have heard a lot of San Francisco but now you have given me an insight into the lovely city. Especially South San Francisco. I am ready to pack my bags! I am glad you enjoyed reading my South San Francisco CA review. Hopefully you can vacation to this wonderful beach community soon! Thanks for stopping by beach travel destinations. HI Leahrae. I must say that you are one the best in sharing the vast knowledge to the readers like me. I have been following you for a long time, and every post that you share is very informative and this is is one of your masterpieces. I am going there for sure. Great, you will have a blast! Thanks for visiting beach travel destinations and for taking the time to leave me comments. My brother lived in Oakland during the 70’s and 80’s. I made several trips to this area during this time. The south San Francisco area is very inviting place to visit. The only time we went close to the beach was to watch the wind kites flying off the cliffs. The weather is not quite as warm for beach wear, I think I still have a sweatshirt that I purchased when I was there last. Are there any fishing boats to book for a half or whole day trips. I like doing this when in the Florida area. Yes it can be chilly here for sure, but also very nice. Watching the kites flying off the cliffs was an amazing sight I bet! There are several, so I want to refer you to this link for the top fishing charters in the area. Hope this helps, and please let me know if you have any additional questions. South SanFrancisco truly is an amazing place for everyone from children to adults. I live in bay area and mostly over weekends love to travel to SFO. I’m looking forward to some hiking with friends in Oyster Point Marina soon. Very informative article and I got a lot of interesting facts from this region of San Franisco. Had a lot of nice beaches, places to eat, hotels to stay at, and it also had a lot of interesting activities to do while you visit there. You did a great job with your website and article.